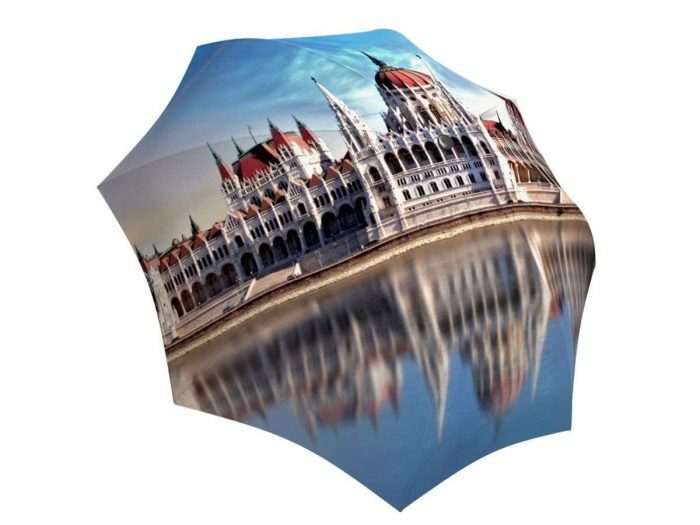 A beautiful umbrella of the Hungarian Parliament building. 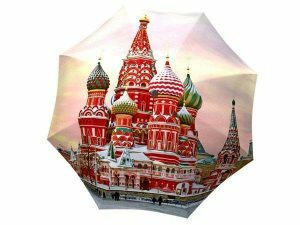 Rain or shine, this architectural masterpiece is always a sight for sore eyes. Take a piece of Budapest with you wherever you go! 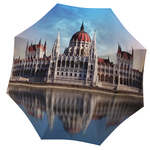 Bask in the views of the beautiful Hungarian Parliament building, which became our muse for this unique rain umbrella. 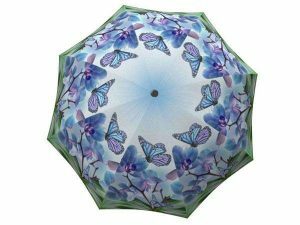 This creative design can also make a great European keepsake to take with you on your travels or the best inexpensive souvenir for the travel enthusiast in your life. 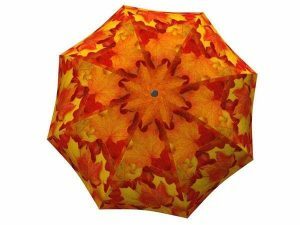 Both gorgeous and practical, this umbrella won’t break under the resilient winds of any climate with its strong fiberglass ribs. 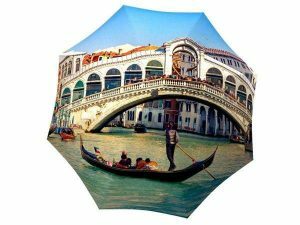 This umbrella gift will keep your memories of Europe alive long after you’re back home.